Home Smartphones Tablets Grab your own Samsung Galaxy J1 Smartphone and Galaxy Tab 3V Tablet Promo! 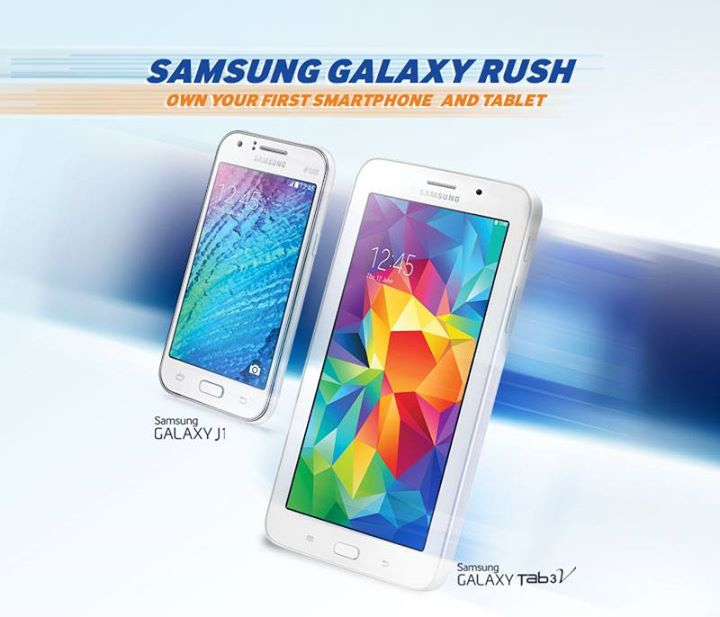 Grab your own Samsung Galaxy J1 Smartphone and Galaxy Tab 3V Tablet Promo! Samsung is offering a discounted price for its Galaxy J1 Smartphone and Galaxy Tablet 3V this coming March 21-22, 2015 only. Remarks: After the 10AM - 2PM promo window, regular offers as listed in the package deal will take effect immediately. So, what are you waiting for? Buy and feel the Samsung rush!